Note that this is a combat challenge. If the character gets a Setback, he or she winds up not dead, but chained to an altar, which directs you to another scene. 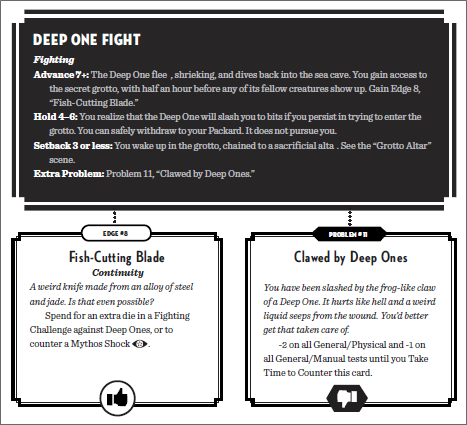 Also, if the character gains an extra problem (by rolling an extra die), he or she can wind up Clawed by Deep Ones, with that problem card.